exotic_world has no other items for sale. 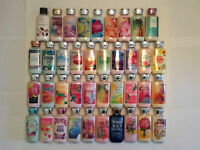 Bath & Body Works Night Blooming Jasmine Body Splash-NEW-Retired!-Very Rare! 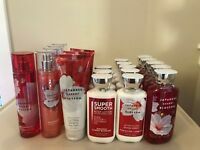 Bath & Body Works Blushing Cherry Blossom Body Splash/Mist-NEW-SALE!! Save up to $1.00 on shipping when you buy additional eligible items from exotic_world. PAYPAL ONLY. PAYMENT MUST BE RECEIVED WITHIN 3 DAYS OF AUCTION ENDING. NON-PAYMENT WILL BE REPORTED.